Some people predict teams to make it to a championship. 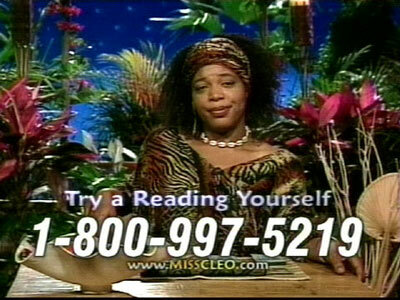 Some people turn to Miss Cleo for predictions of their lives. Weathermen predict the weather. I'm going to predict the near future for everyone. 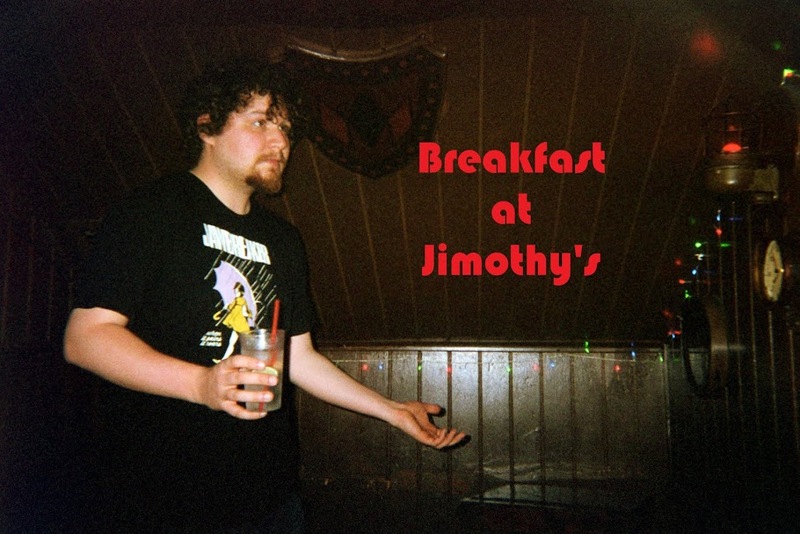 For this blog, I shall be referred to as The Great Jimbabwae (like Zimbabwe). First off, the next big celebrity to die will be either Hugh Hefner, Amy Winehouse, or Kanye West. In 2014, Kill Bill Vol. 3 will come out. Michael Vick will end up starting a game this year for the Eagles. My guess is week 15. He'll have a rushing touchdown, 1 interception and 1 passing TD. The World Series champions will be the Los Angeles Dodgers, defeating the Yankees in 6 games. Manny Ramirez will be the MVP, and then sign with the Yankees when his contract is up. Miley Cyrus will pose in a magazine scatily clad, wearing nothing but the American flag to promote 'Party in the U.S.A.' and be in the tabloids for a solid 3 weeks over it. John Madden will make a surprise return to the commentator's booth for either a Thanksgiving day game or a Monday night game. I will be Heath Ledger's character from Brokeback Mountain for Halloween. Steve from Blue's Clues will marry Drew Barrymore and no one will care. The Providence College men's basketball team will defeat URI in one of the worst games ever known to man. Unfortunately, these are the two best basketball teams in the state of Rhode Island and will get plenty of coverage. The Backstreet Boys will go on tour with *Nsync (minus Justin Timberlake) and 98 Degrees in 2011. The Chicago Cubs will win the World Series in 2014, but a scandal similiar to the Chicago Black Sox in 1909 will occur and they will be stripped of the championship. They won't win the world series again until 2238. Harrison Ford will NOT make another Indiana Jones. Madonna will make out with Lady GaGa at next year's VMA's. Walmart will one day rule the world. Mortal Kombat will be made for Nintendo Wii and will become the highest selling game of all time. The Red Hot Chili Peppers will release an album in 2010. North Dakota and South Dakota will merge in 2050 and become 'Dakota'. No one will care. Guam will declare war on Peru. No one will care. By 2034, the world will go a full year without one action figure being sold. Kids will not care about wrestling figures, G.I. Joes, nor Ken dolls. They will only care about computers/video games. Someone will die driving a Smartcar by the end of 2009 and people will finally start to realize that they are driving a box of death on wheels. Tom Brady and Gisele's son will be the greatest quarterback of all time. Tom Brady and Bridget Moynahan's son will be the greatest wide receiver of all time. Both of Tom Brady's sons will play for the Washington Redskins, who will win 5 straight superbowls in the 30's. (meaning the 2030's). This year's final four will be Kansas, Duke, North Carolina and the Cinderella story team of the year: UConn. Jim and Pam Halpert will not get divorced. I'm giving it between 3-5 years until people realize that there is actually cocaine in Red Bull. 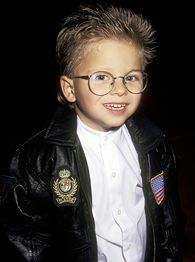 Remember the kid with glasses from Stuart Little? He'll be very very rich in the near future. Big Foot will be found in Nashville, TN in March of 2013. That 2012 myth the Aztecs created about the world ending will prove to be false. Nothing will happen. The Titanic will one day disintegrate. This blog will hit 1000 visitors by Christmas. Alright that's about it for now. I have nothing else to really predict, or at least nothing worth predicting. Hopefully some of these will come true, and hopefully some things won't come true, like Furbies becoming popular again. Oh well. Enjoy gang.